So far I have identified eight most common Scenarios representing Earth in 3D; among these I have referred to as Scenario X "Google Earth with experimental auto-generated models" and Scenario Y "Google Earth with traditional hand-made models". For each of the eight scenarios identified I have pointed the supposed degree of interest from various Types of Users - but pausing my judgment just for Scenarios X and Y, waiting for better examine their characteristics. Then I made a more thorough examination of some the visual characteristics of the Scenarios X,Y comparing several pairs of views of these Scenarios in order to determine which would provide better visual impression - the confrontation showed the Scenario X as winner from the point of view "visual" (on average and as on April-May 2013). But now the time has come to consider more thoroughly all the characteristics from the point of view of the users: the only visual impressions do not seem sufficient to determine the final users choice - if you were to go for a picnic in the countryside, which car would you choose? So let me present the other characteristics somehow appreciated by the users. And maybe there are some users interested JUST in works in progress! 7. "CEZANNE LESSON" that is "New ways to representing the world"
The starting point of my brief digression is the painting of Ideal City (second half of the XIV century) which can be considered the graphic manifesto of the Renaissance. In this "most perfect" painting, the space is marked with extreme rigor: everything is perfectly geometric, calculated, distributed, distinguished. These characteristics, enhanced by the strict application of the perspective, have imprintied and permeated (with some exceptions) all subsequent European artistic expressions since the nineteenth century. The world of the Ideal City was the world of rationality, composure, of the perfect geometry and perspective, with well-finished and well-defined objects. For several centuries, in fact, European painters sought to depict the world with sharpness, marking the contours of the objects and taking all the expedients to make objects distinguishable and realistic, as we can see from the following examples. But in the first half of the nineteenth century, the peaceful life of the academic painters was unsettled by a new amazing invention, Photography, that constituted a tremendous step forward in the realistic representation of the world (since 1838 Daguerre could take pictures like the one shown to the left!). So it was that the Impressionists enriched their representations of the world no longer by painting objects well-distinct and separate from each other (which was a typical and reassuring characteristic of the "good" ancient painting) but enriching them with the atmosphere they had around, blurring the boundaries and breaking the rigid distinction between object and object, and between objects and air. 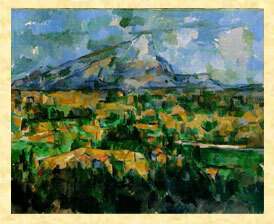 But the true great innovator can be considered Paul Cézanne (1839-1906). In the painting of Cezanne the objects represented on the canvas "take space", their volumes burst and invade the surrounding space establishing between themself a dialogue that meets the needs of the art... thus favoring the emergence of all the contemporary artistic trends. 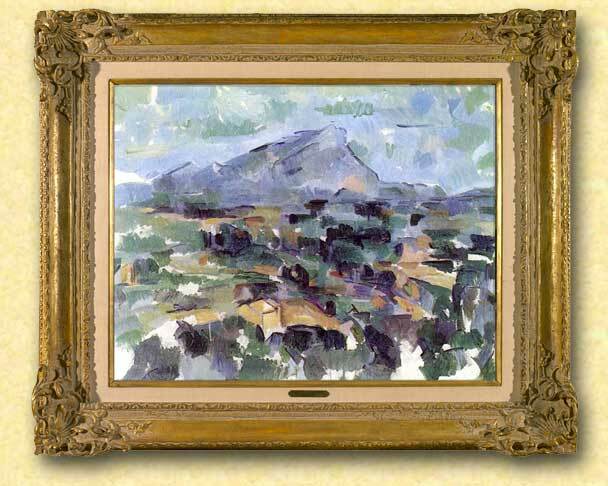 With Cezanne ends the perfect world, the world of geometry and perspective, with well-finished and well-defined objects. 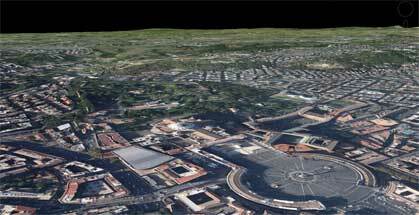 Early in the history - year of our Lord 2006 - the (Google) Earth was deserted and no model populated the Earth. But then came 3DWarehouse, who invited many willing people to create 3D models using the powerful 3D tool SketchUp (free of charge) and, a few years later (2010) the [minus] powerful tool Building Maker (also free of charge). Thus arose and populated the Earth, in every part of the world, hundreds, thousands, hundreds of thousands of models of (mostly) "stable objects" such as houses, mills, churches, cathedrals, mosques, pagodas, temples... produced from an increasing number of human modelers. These modelers were very heterogeneous, often simply fans of 3D, in some cases professionals, in other beginners - all of them eager to bring up, almost always selflessly, their models on the famous "Photorealistic Layer" of Google Earth [Note: it was set up a special committee sifted the models worthy of being accepted on Google Earth]. 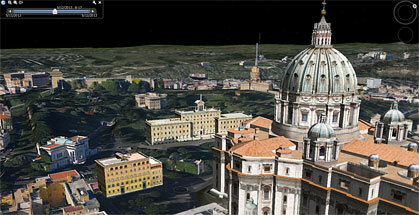 The right image shows an example of those I have called Scenario Y that is Google Earth with "hand-created" 3D Models. 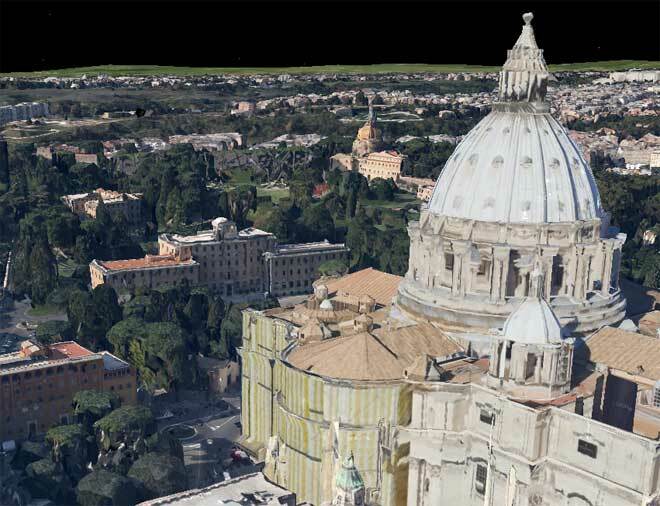 The area represented is located near St. Peter in Vatican City (Rome), and the models were made by 3D modelers as Aerilius, Arrigo Silva, Chigirinsky, kevinwilkins, lucachapy etc. and other "anonymous" 3D modelers or 3D Modeling Companies. The world of the Scenario Y is populated by models of "preferably stable objects" build with different criteria and different styles, but in any case hand-made one by one and quite distinct from each other. 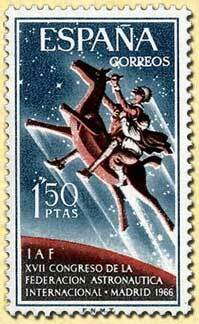 ...that can hold all the objects of the world, without distinction between stable or unstable objects and without hierarchy of importance between the objects represented. of well-finished and well-defined models. "as it is [appears] at a given time [instant]"
the important is to "represent everything in its place". I consider this Google's strategy worthy of the highest respect, and look with confidence the next steps: the road is drawn, it is still long and not easy, but - I am sure - there will be benefits for all, as I shall try to demonstrate in the next sections. The strange idea of combining Cezanne and Google came to me while I was carefully examining the Google Earth Scenarios X (with auto-generated models) in the experimental areas of Rome, New York and Tokyo (April 2013). To be honest, at the beginning I felt a bit of annoyance at seeing those outlandish landscapes... but then I got used to them, and indeed I saw something artistic which reminded me, as a passionate of ancient and modern painting, something familiar... similar to... the style of Cezanne! 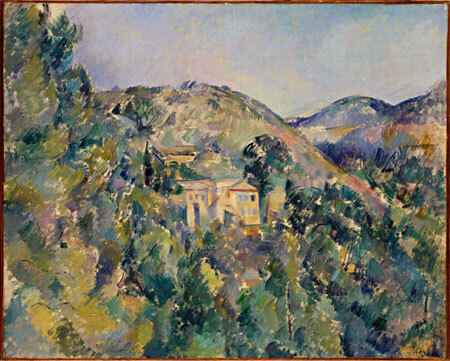 Late 1800s Cezanne changes the way to describing the world - Early 2010s Google too! Upon closer inspection of this... odd couple, beyond the obvious differences (Cezanne was a great painter of the past, while Google is a large and powerful company of our days, etc.) I found some interesting similarities especially in the courage to introduce a new paradigm, to break with previous established traditions and especially to give up a world made of objects clear and distinct. But perhaps the next and final PART 4 ​​will reserve us more food for thought! Nice presentation! My only comment is to stress that the auto-generated 3D is derived from photos. The original photos will always be better and more consistent. On this case the 3D adds nothing, only noise and imperfection. The real artistic, creative and informative work is with hand made models. It's the same with maps: a satellite photo is not a map, it has no explicit information. You can "see" a river, but don't know WHAT river is. An you may confuse railways for roads (depending on scale of course). So auto3d adds nothing in relation to an image or a video. 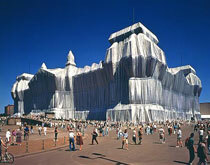 The user benefits little from having trees and cars represented in 3D and cluttering the view. Hand made models are information. As such, it's desirable that models stand out from the surrounding roads, trees, etc.